Eddie O’Leary confirmed Bryan Cooper is likely to side with Rogue Angel in the Randox Health Grand National as Gigginstown House Stud look set to saddle their biggest field of five in a bid to record back-to-back victories in the race. Rogue Angel is trained by Mouse Morris, responsible for last year's winner Rule The World . The general 33-1 shot won the Irish Grand National last season and at Aintree on Saturday looks set to carry the first-choice maroon and white star cap ahead of Thunder And Roses, Wounded Warrior, Measureofmydreams and Roi Des Francs. 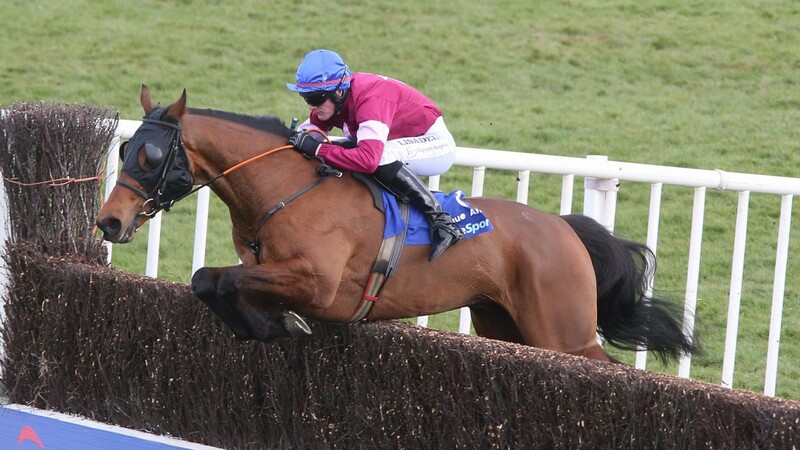 He added: “Like Rogue Angel, Thunder And Roses is an Irish Grand National winner [in 2015] and has put a few nice runs together. He ran a cracker when only just beaten by Pleasant Company in the Bobbyjo Chase, which is always a good trial for Aintree. Noel Meade, trainer of Measureofmydreams and Wounded Warrior, said: “I think Sean [Flanagan] will ride Wounded Warrior. He has schooled well over the Aintree fences and is in good form. We tried blinkers on him at Fairyhouse in the Bobbyjo but they didn’t seem to work for him so we'll leave them off at Aintree. Gigginstown will be represented in the Betway Aintree Hurdle, but whether or not Apple’s Jade takes up her engagement remains to be seen. O’Leary said: “In this game you have to leave your options open and we've yet to decide where she goes. Empire Of Dirt is “more than likely” going to be Gigginstown’s sole runner in the Betway Bowl, while Dinaria Des Obeaux, Road To Respect and Alpha Des Obeaux will be kept at home. Trainer Patrick Griffin has been forced to rule Maggio out of the National following a setback.